This Session was the ultimate 8th beat fight, Enjoy the Ghetto Hip Touch. Katelan Collins, VeroniqueJoelie Varriale, Violet Boa, Monica Redyard, Rotti Beaumont, Kylya Kohime, Asmar Zamani, Skyy Falconer, Chiara30 Jiminy, ALSA Koba, Ismaele Yazimoto, Mayzie Teardrop, Anabella Wrigglesworth, Bull Inglewood, Razzie Lange, Rafaela Netizen, Denyse Lavender, Gold Rodenberger, Cynnie Bellios, Bobby Sabena, Lolani Lemondrop, Jadena Karu, neilly Voom, Aphrodite Corleone, Snicklove Shan, giovanni Choche, Mason Modan, Pixie Static, Sanne Brune, Eve Ormenthal, Duran Devin, Sirius Firehawk, Destiny Newman, Nicci Nikolaidis, Sherry Noyes, Sephyre Knelstrom, Dorota Darwin, Lexa Easterman, Warren Breda, oscarpc21 Khalifa, Monni Kanto, NIIINA McAuley, joachimmsz Beck, Scarlet Weirman, jadestar Wiskee. lol... did someone test this set on +97db? 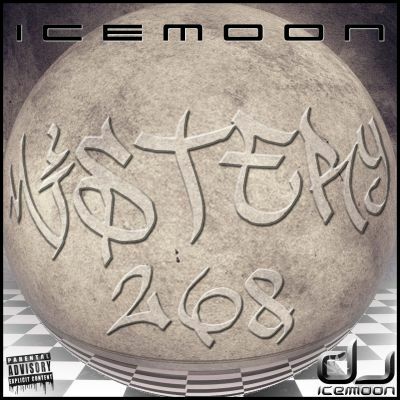 This Session is the "Crescendo" path, taged [SL] 137 this session represent 60 songs remixed live in 205min. I will keep the play list for Internal Use. aysen Lanley, tolga Lanley, Kim Rootcreeper, Jackass Janic, VeroniqueJoelie Varriale, Wenddy Emor, Xeth Sideways, SonyaKiss Svoboda, SadMonk Karu, Monica Redyard, Violet Boa, bullmike5981 Blokke, Sagaris Diabolito, Mia Zenovka, Cirrus McKinney, Tracy Bowler, Aldoo, Riaxik, clastix Enzo, Rotti Beaumont, candela Palmira, James20 Easterwood, keeley Tiratzo, Jazica Pearl, Sheri Kayor, Lexi Murrayforth, Mayzie Teardrop, shasha Cerise, babs Werefox, Tobie Kamala, Gina Thirdborn, Emirikol Ferraris, Bowie Zeplin, Pogo Primeau, Sanne Brune, Random Mefusula, NILE Foxdale, Mirela Christenson, Naveya Wirefly. Tonight, as I listened to your 137 composition, I was ooooh'd and ahhhhhh'd, and omg'd by so many of your remixes. Every time I listen there is yet another realization. This one, however, is not new. Tonights session was a crescendo...like FIREWORKS. I love fireworks...lol i was left wanting more and cheered for more as I applauded you SL and RL. I stood up from my chair saying "OMG! OMG! OMG! Everyone present felt your energy. Therein lies yet another of your gifts. Your ability to transmit what you feel, through your music and to those of us who are listening. Thank you for sharing and bringing us into your world of music. Music is the same in all languages, and nothing brings people together like music!!! This DJ Connect this many peoples!! He is the BEST of THE BEST!!! BRAVO Maestro!! Hooooooooooo!!!!!!!! Nelson you music fills our souls and world. We love you no matter where you are...rl, club, sim...it makes no difference. 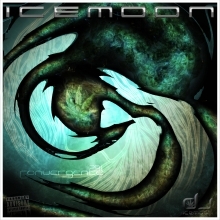 It's all about the music, You create the universe of Icemoon! Of course having your own sim would take our SL experience to new heights and I can imagine what this world would be like as it already exists in my head! As you know, a sim is an expensive undertaking and requires constant energy to run and manage. Anything is possible with the right vision and plan. Whatever you choose to commit to, I am with you...just don't work me too hard! This Session is the "Decrescendo" path, taged [SL] 136 this session represent 100 songs remixed live in 4h~. Thank you Very much for listening, we was 100~ listeners, was a great party i had fun and was glad to share this 48h Set Composion work in this live session. Axelle Burt, davide Verwood, Monica Redyard, Victoria Grau, Antonios Shelman, Marthina Eleonara, blueangel Gloom, Ismaele Yazimoto, Ricie Kappler, lorenzo1108 Varriale, Nashira Clarrington, dawnella Magic, Scoutlounge Magic, Emil Korda, Eriale Zhangsun, Ed Intikhab, clariss Paule, VeroniqueJoelie Varriale, Pepeillo Cyberstar, Robert Carfield, Rita Ferina, Natalie Soulstar, Boy Niekerk, bombiyo2 Dembo, cesar28 Baxton, Rotti Beaumont, Yasmin Lichlore, Axelen Carlberg, Noctiluca Dix, flatron Cuttita, Monni Kanto, Anabella Wrigglesworth, Skyy Falconer, Robert88 Danitz, Denise Tigerauge, oscarpc21 Khalifa, nena64130 Juliesse, oAlice Huntress, Yasmina Shilling, Selina Silverfall, Xeth Sideways, Abby Loomslough, Ra Hansome, Pattko Carrasco, Leona Jayaram, Bull Inglewood, SpurShaft Nirvana, Nikolina Bulloch, Jacky Macpherson, Shani Sugar, Paddy Hoffnung, Cara Roxley, Donny Homewood, Mia Zenovka, Pluto Demonia, rosalinda Denver, saravenusia Pearl, Lexa Easterman, Rhayemma Tsunenaga, bigban Zehetbauer, era Tatham, Stunner Titanium, Lauren Dyrssen, Roman Hughes, Lori Stanton, Sole Violet, Almond Jaxxon, Yushka Ormega, sadie Mixmaster, Melia Claven, cooper Galli, Dakini Adamczyk, Mamon Karu, Collette Miles, Java Clip, dje Solo, NILE Foxdale, Delaine Pintens, rominacarla Fall, Luke Atlass, Adi Audebarn, Nicci Nikolaidis, brabo Batista, CHANEL Breil, Cat Sosa, Merchi Caproni, Eros Batista, Jolie Ceriano, Heez Harvey, Lamia Holmer, boss Paule, Tomb Snook, DIVA Macalroy, Inanna Aya, Tanngnosi Hadisson, BOBO Paolino, Aphrodite Corleone, Ladyzlove Mint, Mayzie Teardrop. Wow! I'm totally for either you choose, and whichever it is, I'm definately going to be there for sure: WOOOOOOOT! I think it is a great idea for you to be able to expand not just into a club but into a sim or region. I support both ideas, I know you can bring in the people to help support the overall cost of having a Icemoon region. If you decide to have a few plots available for residental , I would love to own/rent from you to help pay for such said cost...and the bonus for me would be to have DJ Icemoon's tunes in my own sl home 24/7. Woot that would be simply awsome!! 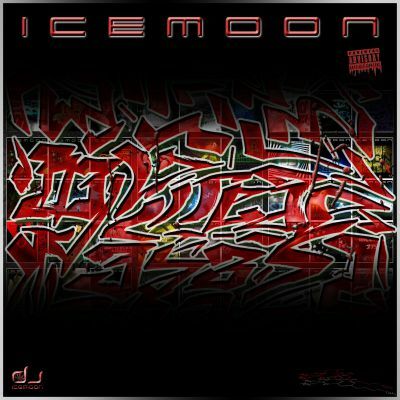 DJ ICEMOON is a very talented artist, his passion for music is felt and he shares this passion with all. I am thrilled Nilson came to second life and allowed everyone hear the magic he mixes. One of the best DJ's, I have ever heard, and happy to also call him my friend. 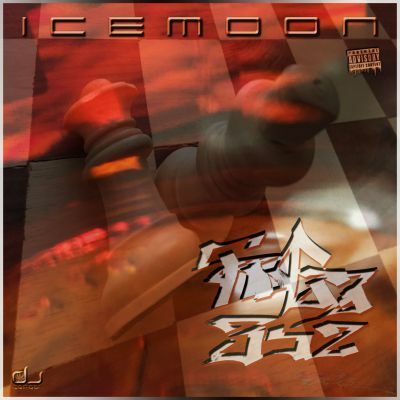 This Remix is a cut of the live Session 134 Second Life Editions. Outro? What a fun session! Yay!!!! Hey :o) This session so shows your playful side. I totally listen to it and laugh. I love the way you share who and what you are through your music. Im loving the evolution. Again...Yay!!!!!!!!!!!! !